Digital convergence – the media trinity of voice, video and broadband – could be coming soon to Claremont, Newport, Springfield and other towns. Two companies, Comcast and FairPoint Communications, recently revealed plans to offer a combination of digital television, telephone and Internet access to their newly acquired customers in New Hampshire, Vermont and Maine. 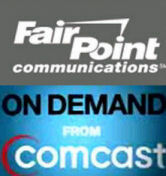 Comcast is already making their presence felt; FairPoint must wait for shareholder and government approval of their merger with Verizon before going forward. Once that happens, Comcast’s local cable television franchise, a historic monopoly in the years it was run by Time Warner and Adelphia, may face serious competition for the first time. To prepare, the company is readying a system upgrade that’s causing both excitement and consternation. As the new year approached, cable customers began noticing the effects from Comcast’s takeover of the former Adelphia system in Claremont and Springfield, along with Time Warner’s properties in Newport and Sunapee. The company, the largest cable and broadband provider in the country, announced rate increases averaging three percent for most of their television services. A few new channels appeared, and several disappeared – including the West Coast feeds of premium programming from HBO, Showtime and Starz. Many complained that they were now paying more and receiving less. A company representative explained that some of the deleted content was redundant, and that customers can expect more new programming in February. Comcast spokesperson Marc Goodman cited an aggressive growth strategy for the coming months. On demand offerings in particular, he said, “represent a dramatic expansion of what’s been available,” including “over 8,000 programs … more than 90 percent of which are free.” High definition content will also increase, including some new channels. In terms of Internet service, the cutover of Adelphia’s broadband system to Comcast had its share of glitches, including lost emails and other hiccups, but it’s running smoothly now. Comcast’s system improvements include content partnerships with McAfee Internet Security, Snapfish, Rhapsody and others, as well as plans for “PowerBoost,” a flexible, broadband-on-demand service. Pricing, however, did not change. Rounding out the company’s so-called “Triple Play” is Comcast Digital Voice, a telephone plan that will be available mid-year. It’s a Voice Over Internet (VOIP) service, similar to Vonage and Skype, featuring unlimited long distance calls to the U.S. and Canada. Goodman said the voice/data/TV combination package will cost $99 per month, an introductory rate that will likely rise to $132 after one year. “We’re delivering convergence today,” says Goodman. “A customer that has digital voice service will have an option in the future to see Caller ID on their TV screen,” as well as Internet-based, unified e-mail and voicemail. Their advantage may be short-lived once FairPoint Communications completes its merger with Verizon’s Maine, Vermont and New Hampshire wireline business. If the deal is approved, the company will grow from 300,000 current voice and data lines to nearly 2 million. Yelm, Washington is currently the only FairPoint franchise offering IPTV service, though another, in Cass County, Missouri, will become operational later this year. The Yelm system features 145 channels and includes on-demand services. It also provides the town with a community access channel for local programming. Yelm’s FairPoint lineup of local affiliate channels from PBS, ABC, NBC, CBS and Fox is more similar to Comcast than satellite providers DirecTV and Dish Network. In particular, Dish and DirecTV offer no local weather forecasts, few New Hampshire stations and no access for citizen programmers or coverage of municipal meetings. “The general approach is we truly like to become a partner within the community,” said Peter Nixon. “Where we can, we try to include that same approach in these types of offerings,” including community access and as much local programming as possible. “It’s a perfect fit,” he said. More political PR while waiting out the Fed House and Senate upcoming investigative meetings concerning the recent FCC ruling allowing a 90 day deadline for coming to an agreement concerning Local control of cable and TV francise agreements! HAS THERE BEEN ANY PROGRESS IN NEW HAMPSHIRE SUCH THAT WE WOULD BE ABLE TO GET IPTV? DOES IT LOOK LIKE WE IN NEW HAMPSHIRE WILL BE ABLE TO GET IPTV? This is simply amazing. Thanks for sharing.